The daughter of a gardening mother who taught her how to weed and plant, Bridget Beth Collins grew up amid her mother’s roses but still considers herself a beginning gardener. During these years with young children, she characterizes her own plot as experimental and subject to impulse buys at the nursery. “By the end of the summer, it’s all a big cottage-y mess — not helped by my love of flower-seed mixes and letting my kids spread them where they please,” she sheepishly confesses. That floral fish was only the beginning. Delighted with her new perspective, Collins took to gathering petals, twigs and natural elements while she was out walking with her kids in their Ravenna neighborhood. 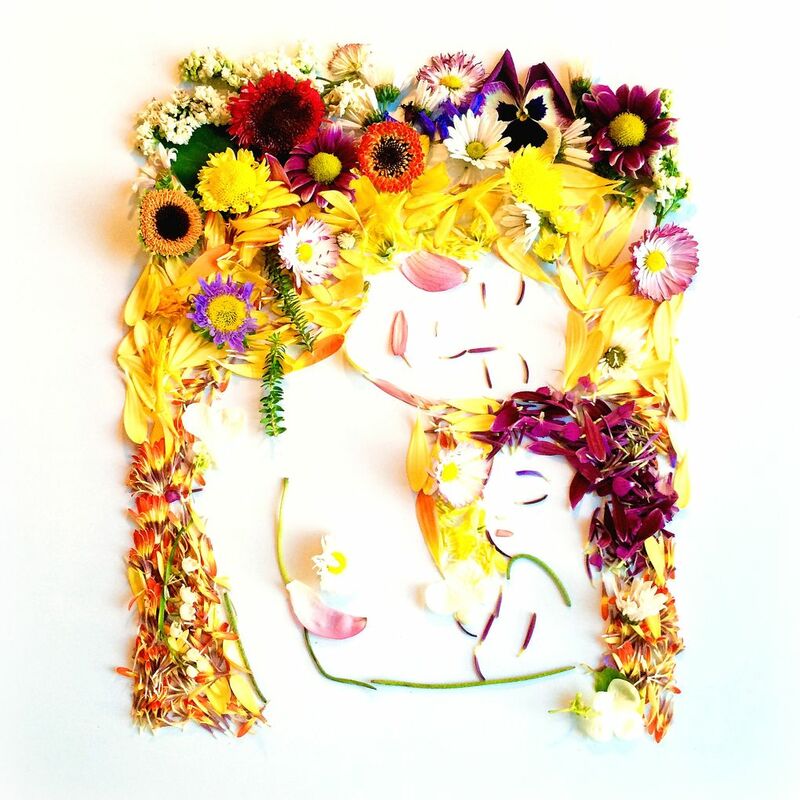 Once home, she began playing around with her botanical finds, composing scenes and animals. 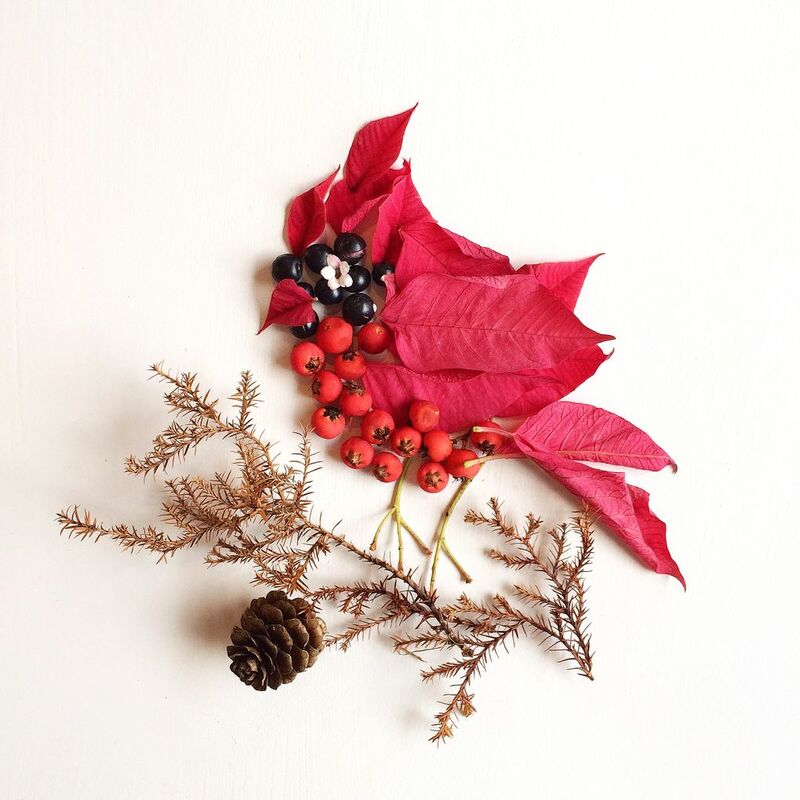 She captured her floral pictures with the camera on her smartphone and posted them to Instagram. Her whimsical creations were enchanting. Her @flora.forager account blew up, quickly gaining thousands of followers. In the space of a few short months, Collins received dozens of requests for prints of her images, attention from magazines looking to feature her art and numerous commissions for custom work. An agent contacted her, and an editor reached out to her about publishing a book project. A visionary, garden-loving, flower-foraging star was born. Like the hidden goldfish in a poppy’s petals, sometimes the flowers dictate the creation, and other times, Collins goes foraging for natural materials to bring her art to life. Who knew dried oak leaves, pine needles and rose petals could so convincingly evoke Marilyn Monroe? The collaged botanicals have a lifelike dimensionality to them, captured in crisp detail and shadow. Collins shoots her professional work in natural light using a DSLR camera with a wide-angle lens, although her iPhone is still her go-to tool for Instagram. And she still arranges all her compositions on a white, painted table in her living room. Once the image has been captured, the botanical bits and pieces are swept away. The photo is all that remains. Today, three years and 3,000-and-some posts later, the Flora Forager community has grown to 216,000 followers. 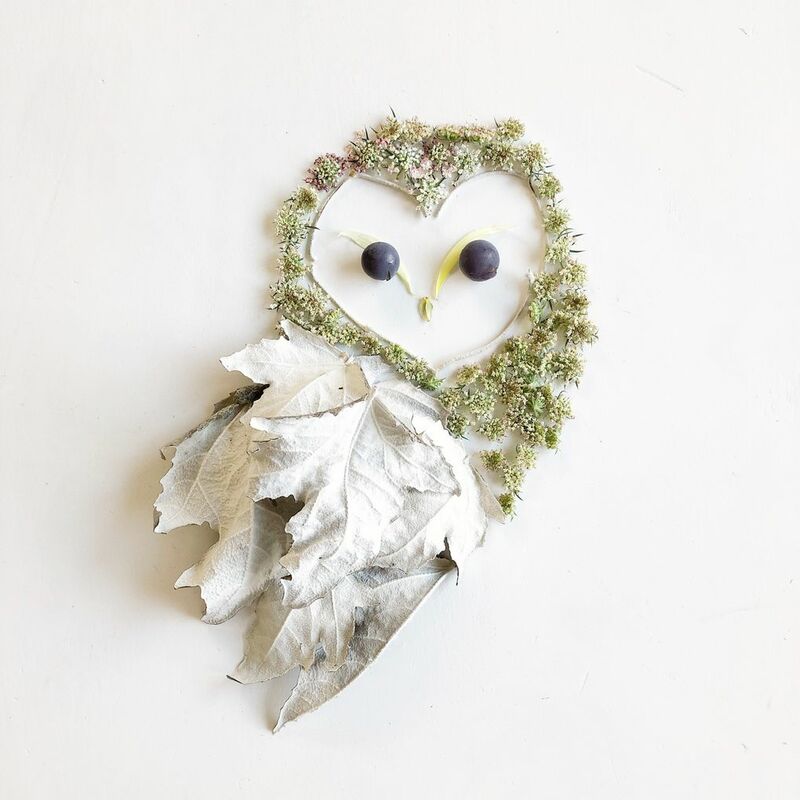 Working with Sasquatch Books, Bridget has published two journals and a book, “The Art of Flora Forager,” a collection of floral compositions accompanied by her lyrical text and an inside look at her process. 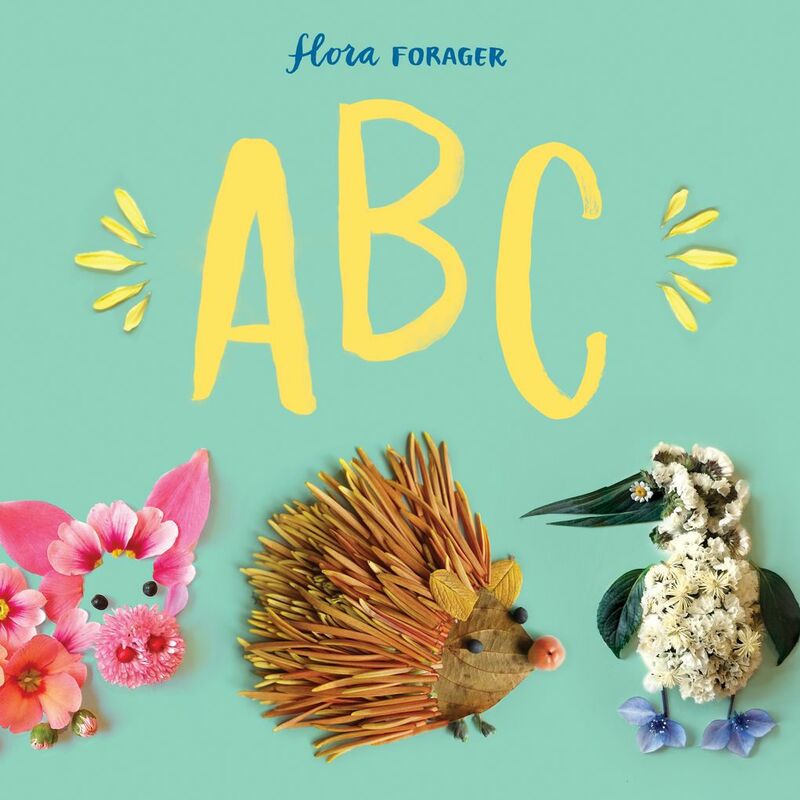 “Flora Forager ABC,” a picture book for children, launches next spring. Select prints are available on her website, floraforager.com.